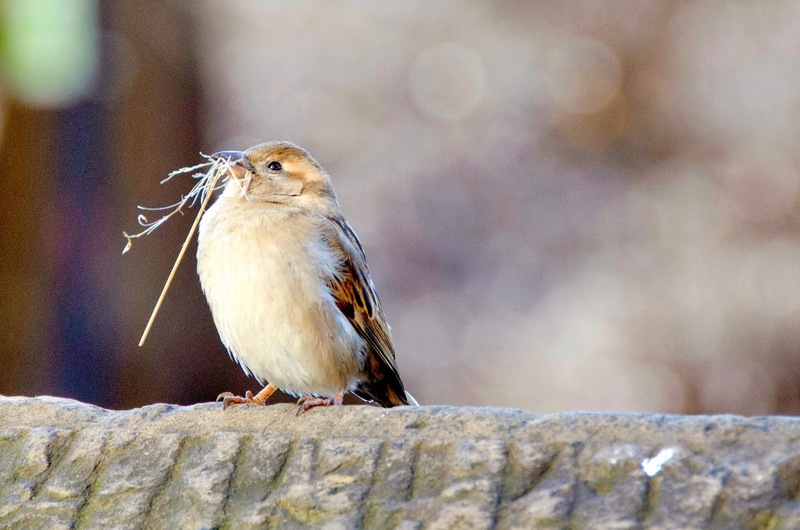 A house sparrow with a mouthful of dry grass. 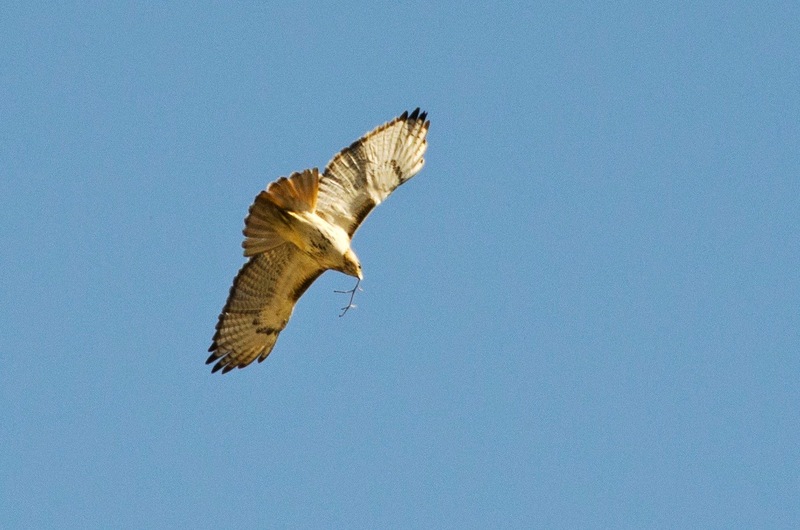 A red-tailed hawk with a stick. 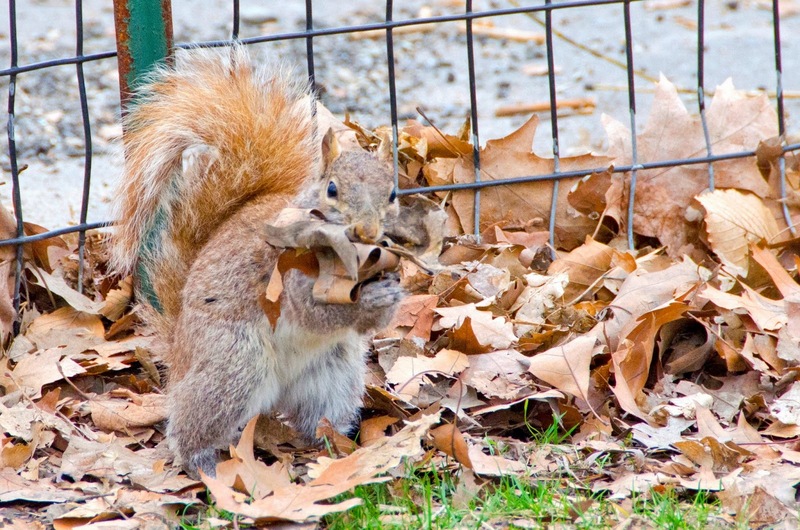 A squirrel carrying dry leaves. A lot of nest-building going on this week!